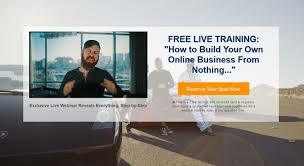 Internet Jetset, like many others, is a step-by-step affiliate marketing training course that teaches you how to build a profitable online business through affiliate marketing. For those of you not familiar with affiliate marketing: as an affiliate to a merchant, you will promote and market their product and when products are sold through the link you will have, a commission will go your way. In order to attract an audience, who will buy the product, you will need a website, then start blogging with keyword rich posts, then get traffic from Google, YouTube and Facebook. 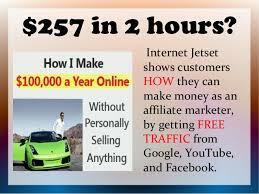 Internet Jetset is helping you achieve these steps. From choosing a niche, setting up a WordPress site, creating landing pages, different ways of driving traffic including paid advertising to making your first sale. How does Internet Jetset work? The $47 will buy you a training course that is approximately 8 hours long from start to finish, not counting the additional case studies that you can buy. I have difficulty seeing how this fits into the first paragraph informing us how to find a niche, set up a website, creating landing pages and driving traffic. Why would I go through the above, before I am getting all this peripheral stuff. Do I not need the basics first? Now I come to John Crestani, the owner of this business and his internet page. 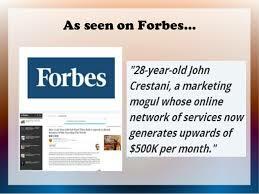 All around me I see glowing publications about how well an internet entrepreneur John Crestani is. As a 28-year old, he had quit his job, travelled the world and made money in the process of up to $500K a month. This is quite an achievement and I highly respect him for that. He developed this and other programs and wants to help people make income on the internet. But does making so much money also make him a very good teacher? Looking at his internet site, which is one page only, the information there is minimal. You can press all of the windows with attractive points mentioned, but are immediately asked to log into your account by providing your e-mail address, even for his welcome video! I personally hate this kind of aggressive way of trying to get your information. I just want to have some necessary data on his program, but I first have to provide my personal details? Why he cannot put the information in the open, easily accessible? Apparently he uses Clickbank as his retailer, so do not be surprised if you come across this name. The above did not work for you properly? 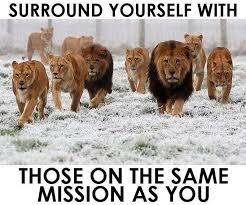 For a whopping additional $187 you will get access to an inner circle of internet millionaires. It will then be possible for you to contact and network with them and get valuable information on the affiliate marketing business. On the face of it this looks rather good, notwithstanding the fact that the amount to enter is quite high. Wow, contact with internet millionaires. I have given this some thought and the more I think about this, I really wonder what good this will do. And why does John have to do this, when he is the ultimate internet guru already? I am totally unsure what to expect from this, certainly not the key to making money. Look at it this way. Here is an internet millionaire and he suddenly gets questions from a lot of people way behind him and he does not know and he needs to spend time answering questions that are way below his level of interest. Another thing that come to mind is that a niche is very specific, being a number of people interested in a specific topic/product. So no niche is the same and chances are that any outsider is not familiar with your particular audience. How can they be of benefit to you if they lack that knowledge. Sure, they can give you some tricks that worked for them, but will they work for you? Next, is John or any of these guys going to invest their valuable time going over each of your articles (let’s say you already have 50 of them) and subsequently tell you point by point what is wrong or is lacking? I don’t think so. And I can understand that is not going to happen. We all have our own responsibilities. So what I am saying here is that any help, whether it is from John or any other millionaire, will only go so far. This is something we all have to realise, especially when buying into the millionaires club. 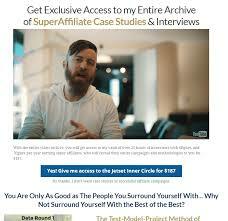 The next thing is the Super Affiliate Case Studies. This is another optional offer which costs a one-time fee of $97. It’s an actual case study where you will be able to see real affiliates in action, what they’ve created, and how they’ve been able to earn their income online. As I mentioned earlier, Clickbank is the retailer for the Jetset program, so it’s a legitimate source which has quality digital and physical products. Clickbank will also show you some other products that are similar to the Jetset and you will also have the option to view (and purchase) if you like. order to become a successful internet marketer, followed by a step-by-step plan, where each step brings you closer to success. What I see here is a nice collection of separate seemingly connected topics that, if all followed could lead to sales at some point of time. I do not see the red line. 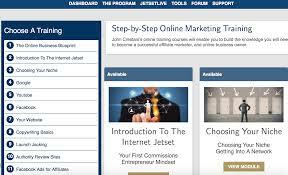 Internet Jetset is a fully legit way of making money online, but it is not clear to me how the program really is to work. It sure looks pricey, too pricey to me and I would have to think deep in order to invest the kind of money requested. If you have been a little disappointed about the outcome of this review, maybe you are asking yourself if there any other legit training programs that support you setting up your own business in a comprehensible easy to follow way and for a reasonable price as well? The answer is yes, you just have to find them and I was lucky enough to come across the world’s best internet business support program: Wealthy Affiliate (WA). Established in 2005, it is the longest existing online training course for successful affiliate marketers, having hundreds of thousands of enthusiastic and active members. Its community and 24-hour support are the best I have ever seen. 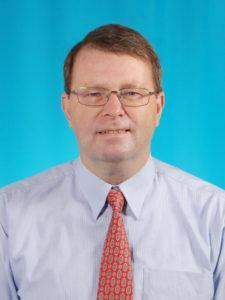 If you are interested in this life-changing opportunity, then I refer you to my detailed review of WA and you can find out exactly how they work. That page will also have a link, where you can enlist for FREE for one week to experience first hand what it is all about, no commitments, no tricks. If you do not want to proceed, you simply stop, no costs! This is guaranteed a feature that you will not find anywhere else in the world! Anyway, please leave your comments or questions you might have in the comment boxes and I will reply within 24 hours. Thank you for sharing this article. I’ve never heard about Internet Jetset. Now that I read this article I know what to expect from them. Great job, I’ll be coming back for more. Wealthy Affiliate is a much better option in my opinion. Wealthy Affiliate is probably the best internet business support program in the world. It has been for 13 years and will be for the foreseeable future. It is designed to help everybody, from beginners to professionals. Especially as a newbie, you will have the chance to become a professional as well on the condition that you commit and spend the required amount of time and effort. The beauty is that everyone can be successful with their formula of training and support. This is an awesome review of Internet Jetset! I have never heard of these guys before, but after your review, I have a fairly good idea to know what to decide. I also visited their website and found the information to be very little. I especially liked your point about the perfect internet marketers, not always being the best teachers. I appreciate your content Jerry. As with most of these sites, they promise you the world, but forget to tell you how they are going to make you do that. If you fall for the glamour, they will quickly help you get rid of your money and before you know it, you will have two things: an empty wallet and little further knowledge. 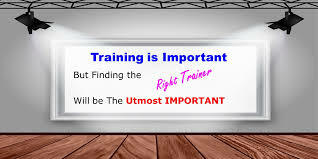 It is better to use your good money for the reliable training source that I mentioned. Previous PostPrevious How to Deal with an Incompetent Boss?